Crow Summer Institute 2016 – Have you registered? Crow Summer Institute brings together Crow educators and language supporters from all corners of the state. 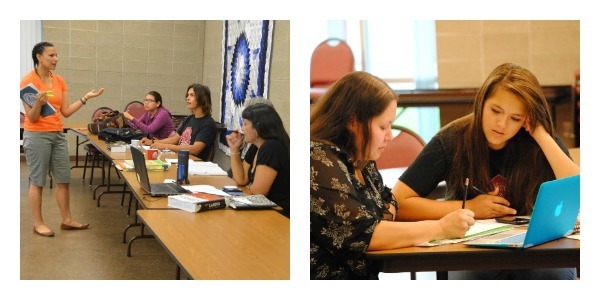 The courses offered at CSI empower teachers and provide them with best-practice tools and methods that can be used with new Crow language classroom materials. See what participants from last year are saying here and here. Based on the feedback from last year’s participants, this year’s CSI will offer an intensive beginner course for those that want to learn Crow! If you need to mail in your registration, you can download and mail in the CSI 2016 paper registration form here. Keep up with the latest Crow language news on our Facebook and website.